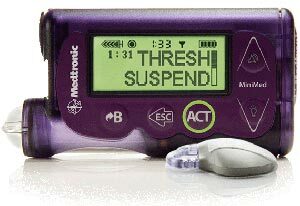 A continuous glucose monitor, also called CGMs, reveals short-term trends in the blood sugar as they happen. You can see the direction your blood sugar is taking in the last 1, 3, 6, 9, 12, or 24 hours, depending on what times the monitor offers. Various companies have already released continuous monitors, with more companies developing theirs every day. 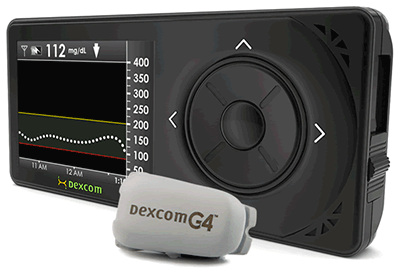 Significant differences in accuracy can be seen in one individual when two different continuous glucose monitors are worn at the same time. 2 hours after insertion, within next 6 hours after first, then every 12 hours. Will alarm if calibration value not entered. every 12 hours with OneTouch Ultra 2 hours after insertion, again 6 hours after first, then every 12 hours. Will alarm if calibration value not entered. 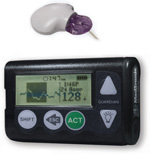 Get Pumping Insulin for complete pump information --- it is the most helpful book available on pump use with continuous monitors.